Depending on your personal list of "must haves" for your future home, and after defining what is worth your consideration, your real estate professional may suggest that you look at options for new construction. Sometimes, building a home to meet your needs and desires can be the best way to meet everything on your "must have" list. There are multiple ways to go about buying a newly constructed home. Your real estate professional can provide you a list of new construction homes for sale, which means that the homes are already or nearly completed. These properties are typically listed by the builder or developer of the property. Then, there are listings of "to-be-built" homes that typically require you to work with a specific home builder who owns the parcel or parcels of land being developed, or perhaps is contracted by the developer. The price range of new construction options vary to fit a variety of budgets and can include listings for economical modular homes all the way up to the best-of-the-best in luxury homes for sale. Location, neighborhood, and style: Your real estate agent will guide you through the options you have—either land for sale, where you will find a builder to best complete your project, or to-be-built listings either on a parcel of land that a builder is trying to develop or within a planned neighborhood development or cul-de- sac. You will also need to choose the style of home and general square footage of the home you wish to build. Typically, if your home will be part of a development of new homes, there is already a plan in place that dictates a general range of home size and value that the builder will adhere to. This means that a luxury home development will probably not allow for a buyer who wants to build a small, modest ranch-style home. In the same respect, you probably don't want to build an expansive luxury home in a development of smaller homes. 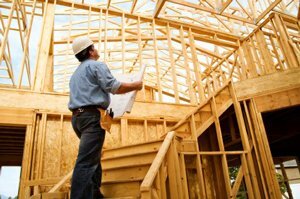 Cost of the new home: If a builder has a general plan to build, for example, a 2,000 square foot colonial on the lot for $265,000, they probably have a list of what comes standard with the construction plan and price tag. You can then sit down with them and modify the plans (within reason) to fit your wish list and budget. For example, the standard model might have laminate counter tops, but maybe you want granite throughout. You might want to add a garage or a great room at an added cost, or you might scale the plans down to 1,500 square feet to trim the budget. This is where you narrow down exactly what you are looking for, review it with the builder, and get a final quote to include all upgrades and changes. Obtaining financing: As with any loan, it will require lots of documentation of your earnings, credit status, and the design plans of the home and building costs. Sometimes a buyer must revise their original plans with the builder in order to get lender approval. Patience and flexibility are helpful throughout the loan process. Check out our guide on getting a mortgage for the basics about obtaining financing. Once you've settled on a final design and obtained your financing, it's finally on to construction. This may be the most rewarding period as you see your dreams being brought to reality. Changes in design or product choices should be kept to a minimum for the consideration of time, cost, and everyone's sanity. But in the end, you will get the keys to exactly what you pictured in your new home.